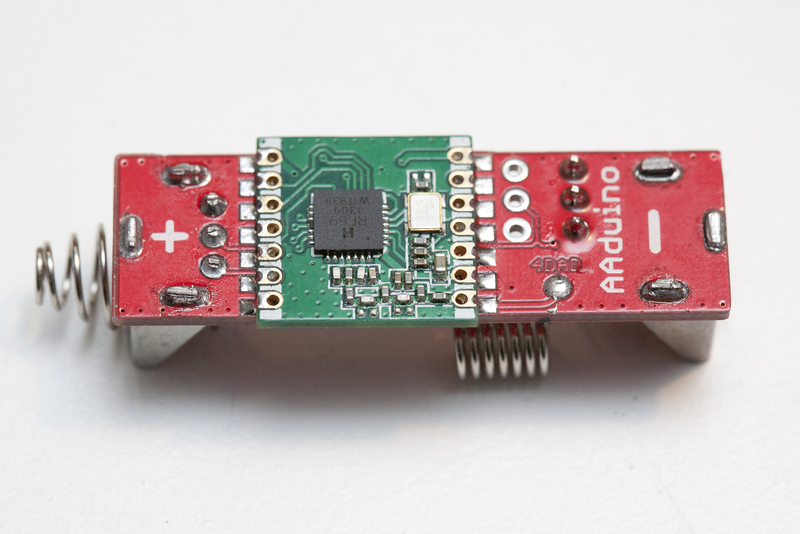 Honey, I shrunk the radioduino! 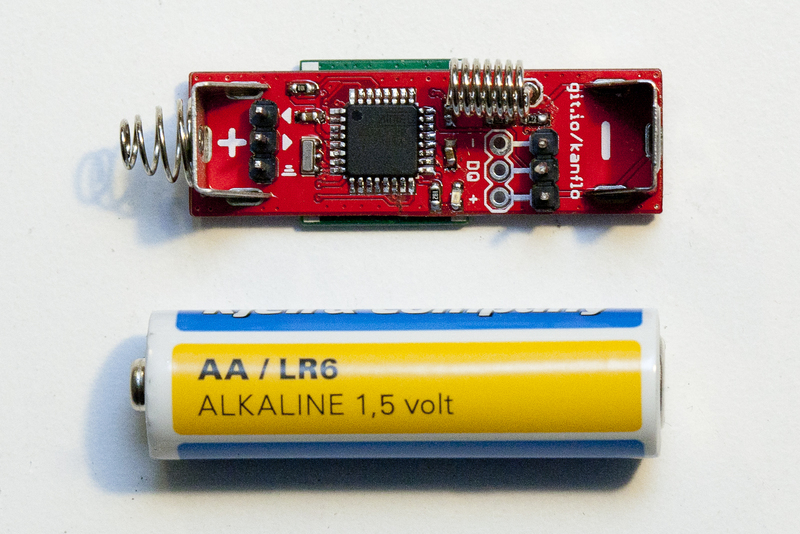 Since the RFM69C is somewhat wider than an AA battery I used a file to make it slightly narrower. 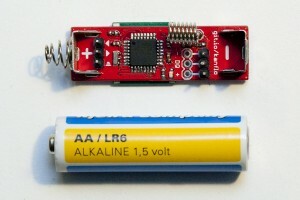 There is some room for that kind of modification without damaging the module. Update, the RFM69C will fit without modification. 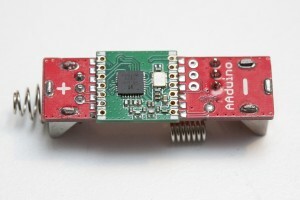 Next I clipped the legs of the DS18B20 until about 5mm remained and soldered it to the 3x pin header on the AAduino. 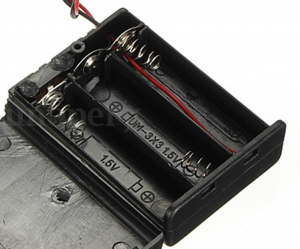 I then drilled a hole in the battery box where the sensor can protrude and a small hole for the LED to shine through. 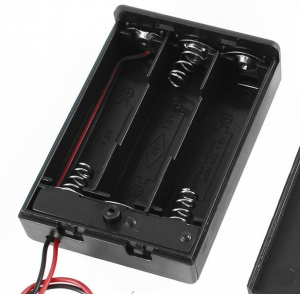 The wire out of the battery box was cut, shorted and stuffed away inside the box. I use battery terminals from Keystone available from RS Components, positive and negative. There seems to be a cheap eBay alternative but I have not tested those. 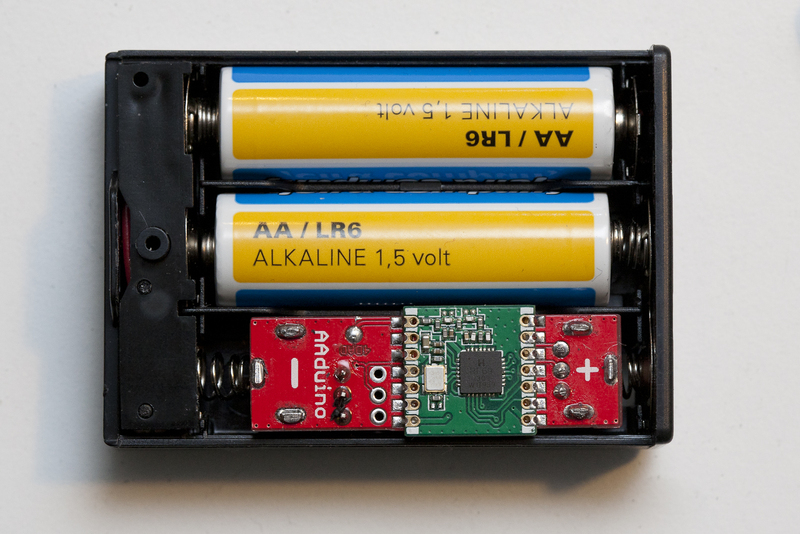 The + and – markings on the PCB indicates (this is important, read carefully) the positive and negative poles of the battery we are pretending the AAduino is. 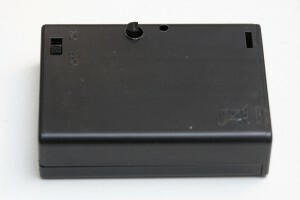 The Keystone spring contact should be soldered to the + marking and the button contact to the – marking. There is no protection diode here so be careful. Also note! If you want to power the AAduino from a bench power supply, connect the power supply’s black negative lead to the + marking and the red positive lead to the – marking. The 3xAA boxes are also from eBay and there seem to be two different types. One that is really good and one that is really crappy. I will let you in on the secret of buying the correct one. The good ones have a nice build quality and plastics and look like this. 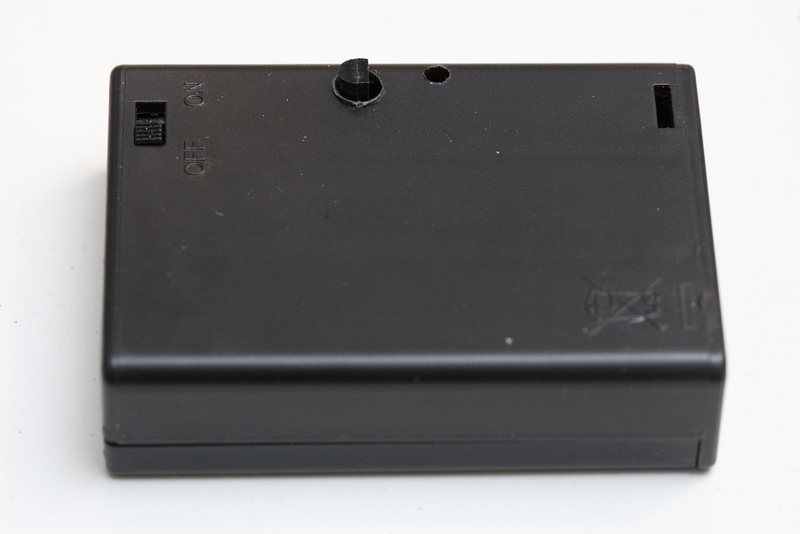 Note the rectangular piece of plastic below the battery compartment extending from side to side. Looking at the crappy ones, well you can tell can’t you? In the top left corner it seems someone used a soldering iron on the poor thing. The lid does not snap in place very well and the plastics is really cheap. Code, schematics and BOM on Github, as always.